A variety of health and social services in a protective group setting. 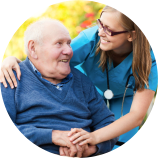 Adult Day Services is a wonderful option in the long-term care continuum. 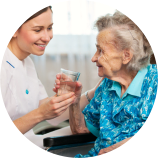 Learn how to pick the right adult day services for your family. Welcome to Connecticut Association of Adult Day Services, Inc. 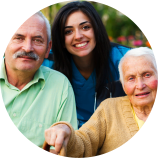 The Connecticut Association of Adult Day Services or CAADS is Connecticut’s only professional organization devoted to promoting adult day health services as a high quality community-based option in the continuum of long term care. Our association members promote adult day services because when families in Connecticut choose services: quality, accessibility and affordable matter. No matter your age or ability, all persons have the right to a quality life. Quality means choice and opportunity in the least restrictive environment. 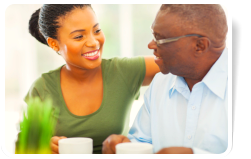 The model of care found in adult day centers throughout Connecticut, offers older seniors the opportunity to receive person centered care in a community setting. Positive social engagement, meaningful activities, self-help guidance are the cornerstones of the respectful care and services delivered to each individual enrolled in an adult day centers throughout the state. 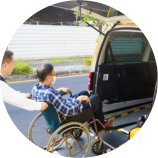 More than 40 adult day centers are located in Connecticut offering door to door transportation from neighboring communities to each center. For more information, about the Adult Day Services Association or to find an adult day center in your area, please call 203-678-4649.